Many effective ways to remove dark circles under eyes can be achieved by applying the many tried and true home natural remedies. Many people have had good success without surgery. There are also various anti aging treatments, products, non surgical, and surgery treatment methods available. Natural home remedies cannot get rid of dark circles permanently but they do offer short-term, inexpensive solutions that can help you diminish them temporarily. Some remedies may work better than others and the success will be determined individually. Apply a mixture of lemon and tomato juice (equal parts) on the dark shadows twice a day. The vitamin C’ bleaching properties will help lighten. Cucumbers is the most effective fast "pick-me-up" and all time favorite remedy for tired looking eyes. Close your eyes and lay thin slices of cucumber over your eyes for 10-15 minutes. Cucumber slices applied to your eyes dark circles not only helps to lighten the appearance around the eyes, but also soothes and cools the area and eliminates any puffiness. Raw potato or apple slices may also help remove dark circles under eyes. Save your tea bags from your brewed tea and apply as a compress to your under eye area for 10 minutes. Refrigerated bags can also be used. Tea brands such as (caffeinated) Assam and Chamomile work best. Tea contains Tannin*, which has anti-inflammatory effects. *An astringent – It will tighten the body tissues, reduce swelling and dark discoloration. Place moistened rose water or witch hazel cotton balls over eyes for 10 minutes. Cold Compression- Any type of ice pack, ice mask, frozen bag of vegetables,or refrigerated spoons will help refresh. Place over your eyes for 10 minutes. Smoking – interferes with blood flow to the skin. 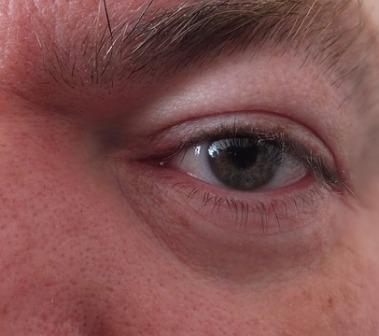 The blood vessels under the eyes may appear more prominent. Drink plenty of water to flush out toxins in the body. Many problems can arise due to the accumulation of toxins in the body. Eat a balanced anti aging diet with plenty of fresh, antioxidant fruits and green vegetables which are rich in fiber, limit your salt intake, and don’t forget to add your iron, E, and B vitamins. Get enough beauty sleep and try to sleep on your back and elevate your head with a couple of pillows to keep blood from pooling under your eyes . Remember- Rejuvenation/treatment products work while you sleep. Reduce stress levels by practicing yoga and relaxation techniques. An improvement in your skin can usually be seen when you eliminate emotional and physical stress. An allergic reaction, certain medications, a vitamin K deficiency, drinking alcohol,and the sun can also cause pigmentation darkening of the delicate area under the eyes. There is a host of proven ingredients that are found in a quality eye serum that effectively treats dark circles. Vitamin C encourages collagen production and can help brighten skin tone. Vitamin K has also been found to diminish the appearance of dark circles and fade hyperpigmentation. Kojic acid can be quite successful for lightening. 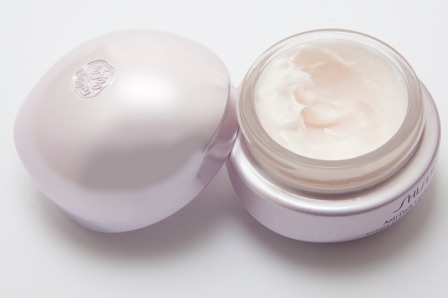 Retinol Is a form of vitamin A that has great success in anti aging. Niacinamide is a topical shown to have anti-inflammatory properties and is a effective lightening agent. Copper Peptides – Antioxidants -Thickens and firms the skin helping to conceal the discolored area. Look for ingredients that are helpful to encourage your own collagen. Normal aging is often responsible for thinner skin and loss of collagen under the eyes which can show blood vessels and bluing to be seen more easily. By learning a few facial exercises that are especially focused on the eye area may help eliminate circles, puffiness, and offer many more anti aging benefits. A concealer is a wonderful beauty product tool to help hide dark circles. Although it is not a permanent answer to the problem, it can be fairly effective if the proper technique is applied and the right shade is selected. The secret to getting a more natural look is to select a yellow based shade lighter than your foundation, apply a light application only to dark areas (not the entire under-eye area), pat lightly and blend. There are also many other procedures used that may be helpful depending on the cause of your dark circles. Some treatments to consider is fillers, chemical peels, intense pulsed light, lasers, and blepharoplasty surgery. Under eye shadows and under eye bags have many causes including lack of sleep, heredity, rubbing eyes, skin allergies, aging, smoking, stress, and poor nutrition. To find out the cause will help to apply a solution that best fits your personal problem.